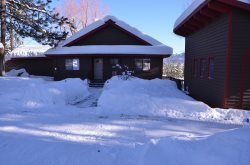 At McCall Idaho Vacation Rentals we believe the best property management company is the one that best protects your investment. Our goal is to do just that, and we are experienced in doing so. For the past 9 years we have run Forest Property Management and feel we know the property management and caretaking business inside and out. Literally. From housecleaning, house checks and home repairs to landscape maintenance, annual flower planting and servicing your watercraft and recreational vehicles… we take care of your home, your property and everything involved with it. It was a natural leap to add vacation rentals to the list of services we provide. As an established caretaking company we know what to do to ensure that your home and property is in the best shape possible for your visit as well as for those who are renting your property. We want to make a good impression, and pride ourselves on cleanliness and attention to detail. Our goal is for everyone’s vacation experience to be the best it can be. If you are interested in learning more about our property management services for vacation rentals or caretaking, email us anytime. To learn more about Forest Property Management, click here.